Shipping goods across the north or west of the US is likely to involve a trip through the country’s fourth largest state, Montana. If you plan to transport goods from, to or through Montana, use FRC logistics’ instant and free online quote generator to get an accurate idea of the cost for full and partial truckloads using Montana freight companies. As the USA’s largest landlocked state, Montana is heavily reliant on road transportation to service its growing tourism sector, as well as traditional agricultural, forestry and mining industries. Recently, Montana has seen a growth in micro-brewing, making it one of the leading states for good beer. Around half of all Montana’s transportation needs are intrastate, with Montana trucking companies primarily transporting food, lumber and minerals across the sparsely populated region. Montana freight companies that transport goods outside the state typically travel to other northern and western states, especially Washington, Wyoming and Wisconsin, as well as California, Illinois Texas, Arizona and Georgia. Montana has 14 border crossings with the Canadian provinces of British Colombia, Alberta and Saskatchewan. Individuals and companies that operate commercial motor vehicles in interstate or international commerce must register their business with Montana and pay an annual fee based on the size of their fleet. The Montana Department of Transport has a comprehensive trucker’s handbook that offers guidance on rules, regulations and permits. Most trucks in Montana must observe speed restrictions of 65mph on interstate routes and between 55mph and 60mph on smaller roads. Overweight vehicles are restricted to 55mph. Montana operates a bridge formula for Montana freight companies to use in assessing the suitability of routes. Chains are often required during the winter and are advised using road signs. The MDT has a comprehensive and user-friendly website with further information. Freight travel is allowed in Montana from sunrise to sunset Monday to Friday, with restrictions on some routes from 3pm on Fridays. One or more pilot cars may be necessary, depending on the route chosen. 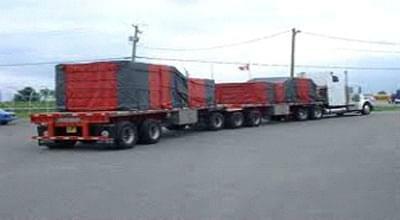 On four lane highways, one pilot car is necessary at the rear for oversize vehicles. On two lane highways, two cars are required for vehicles over 14’-0” wide. 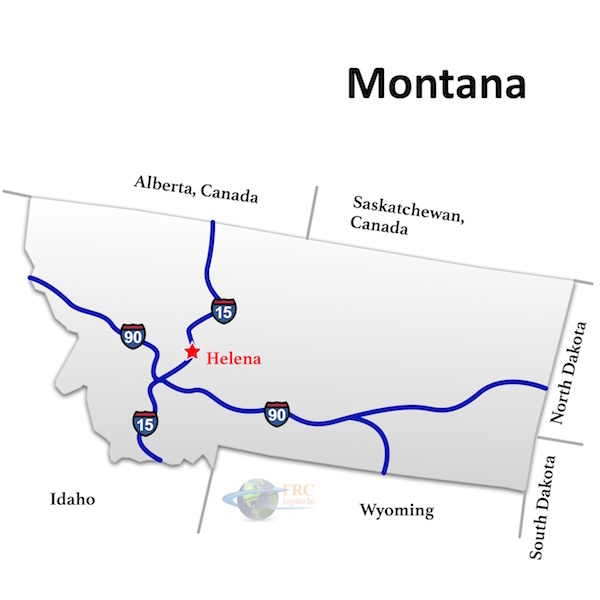 Montana’s Interstate routes include the I-94 and I-90, connecting the state directly to Washington and the Dakotas and the I-15 that leads to Idaho, Utah, Arizona and California. A network of state roads connects the cities and provides access to the National parks, forests and mountains. Regular users of Montana’s roads know to be aware of wildlife crossing their path, particularly close to the national parks, mountains and reserves.